Ghana hampers come with and without lids. 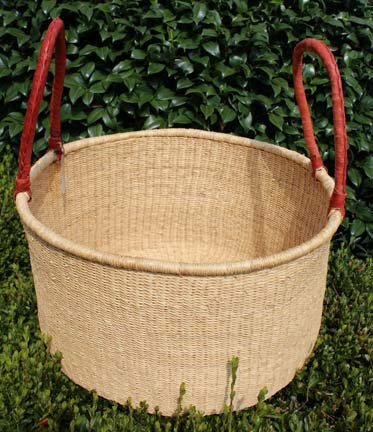 They are ideal for storage or for your laundry. 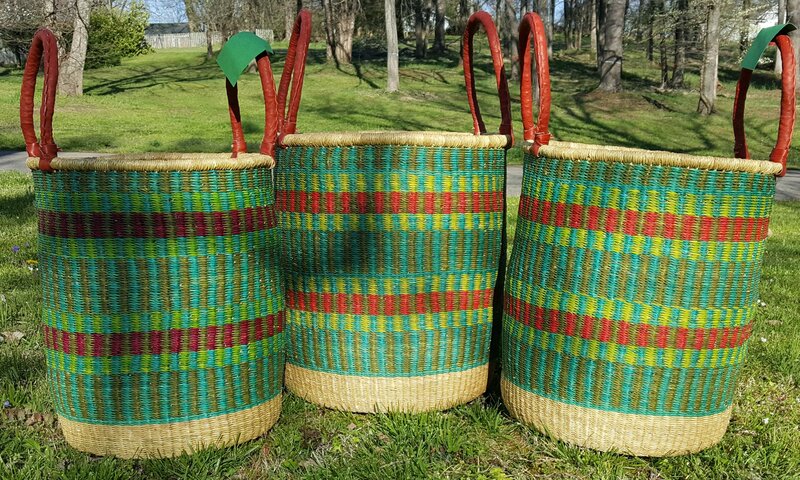 Ghana Moses baskets are hard to keep in stock, so please contact us if you are interested in a basket and we don't have any online. 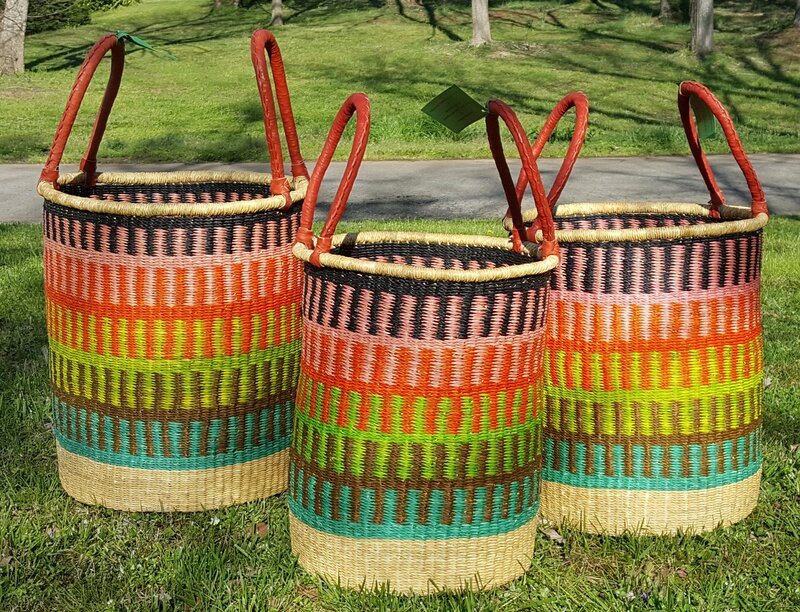 Colorful, handwoven grass baskets, these are sturdy enough to hold many little children!